Trevor has specialised in Doglaw for 23 years and is widely regarded as a leading solicitor in England and Wales for this niche area of law in both civil and criminal cases. Trevor started his career in local government and has acted for the prosecution (having been a Principal Solicitor with the Environment Agency for 5 years) as well as the defence – he was also a Magistrate on the North Yorkshire bench. Please note, the Animal Welfare (Licensing of Activities Involving Animals) Regulations 2018 is covered in brief in this seminar, it is NOT the main topic of the event. The seminar is aimed at entertaining the audience as well as to inform. No prior legal knowledge is required so come along and learn!! ~ What is canine wellness? ~ What do we need to include in canine wellness? leave with a plan to progress towards their goals. take to help the dogs in our care. implement an effective plan to work towards overcoming the behaviours. develop an effective development plan to work towards overcoming them. – Recognise the communications behind problematic behaviours. altering antecedent arrangements and managing influencing factors. 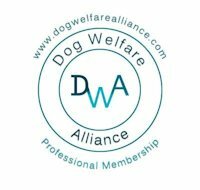 – Implement practical efficient calming techniques to improve the day to day lives of the dogs and owners in your care. The main focus of this seminar will be on observations and Free Work and will include a combination of Power Point presentations and practical sessions with the attending dogs to help you hone your Dog Detective skills. Free Work is a new addition to Sarah’s courses and has been inspired by a bright and enthusiastic young bull breed named Henry. 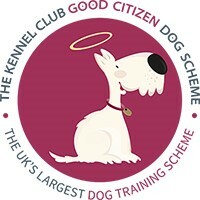 It is a simple, structured method of educating and supporting dogs of all ages providing a safe and rewarding foundation on which further learning can be built. Many dogs struggle when in novel situations and many cannot tolerate contact (even from familiar people) when aroused, worried, or in new or exciting environments. Free Work has provided an invaluable stepping stone towards ground work exercises on a line or lead, and gentle TTouch bodywork for dogs that are sensitive to touch. Watching dogs moving at liberty exploring a range of sensory experiences, before progressing to working on a long, cotton line, has also proved to be beneficial when observing the posture and nervous system responses. Stripping everything back including the removal of the collar (if safe to do so) can highlight many of the smaller ‘triggers’ or threads that create the more obvious behaviour and postural patterns. Free Work is now being successfully used by shelter staff, trainers and behaviourists, TTouch Practitioners, groomers, and canine guardians to support the animals in their care. This day and a half workshop is £80. There are 6 handler places available.